Filter Paper Light via ikeahackers.net. Oh thanks for this...all amazing but the first & the last are my favorites! 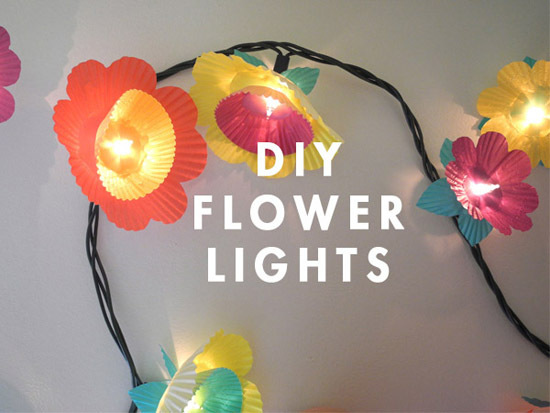 The DIY Flower lights look like they're made from cupcake baking papers. What a clever idea to add some festive fun to a string of white lights. Great DIY ideas.